Lately I’ve been reading a lot of teen novels, partly to catch up on series and partly just grabbing random things that look interesting. 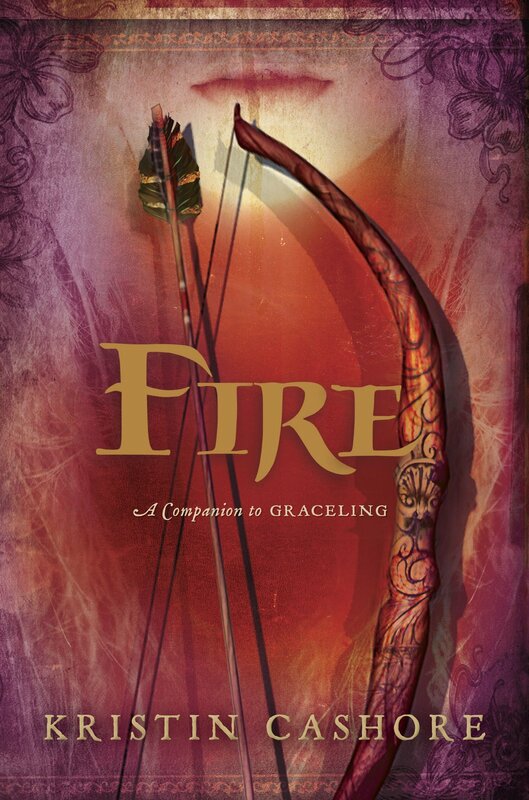 One I recently finished is Fire by Kristin Cashore. Fire is a sort-of sequel to Graceling — “sort-of” because it’s about a completely different set of characters, in a very different part of the country. In the Dells, there are monstrous versions of every creature which can control the minds of others — and that includes monster humans, like Fire. Her father used these powers badly, so Fire is afraid to use them, but as the Dells threaten to break into war it may become necessary. While the main characters of Graceling don’t show up here, we see the origins of a villain, something which I found really fascinating. I didn’t have any of the pacing problems I found in Graceling as everything unfolded at a more even pace, though I still felt like the novel went off on little tangents sometimes. But the biggest draw was the main character, Fire. She’s not so physically tough as Katsa was in the other book, but she’s brave. She also deals a lot more with her own emotions, so I felt much closer to her as a character than I did with Katsa. What I really found interesting was that Fire deals with a lot of very feminine problems — she loves children but doesn’t want to bring a monster child into the world; monsters want to devour her and are attracted by her blood, making menstruation a hassle — and yet she doesn’t come across as a wimp, just as a person with a problem that she deals with. Fire makes femininity look strong, giving Cashore another point in the awesome lady heroines category. I definitely preferred this book over the first one, and would even recommend it first to others since not reading Graceling doesn’t lead to any confusion. Another book, which I picked up on a whim from the library, is Orchards by Holly Thompson. This book follows a half Japanese, half Jewish middle school girl who is sent to stay with relatives in Japan after a girl teased by her group of friends commits suicide. The novel is told in free-verse poetry, a format I have come to adore recently: told so sparsely, everything is cut down to the barest, most important details. The narrow focus allows characters to be fully realized in just a few lines, and important thoughts and feelings have more of a punch. I think it’s a great way to tell a story like this, interior things like emotions are so key to the plot. Orchards shows Kana slowly growing as a person, acknowledging what mistakes she made and also what she couldn’t have altered, no matter what she did differently. The verse makes it a quick read, and it didn’t make me cry (like Love That Dog) or shake (like Crank) but it was still a very poignant story. I’ve had Graceling on my TBR list for a while. I am getting closer to reading it (probably over the summer) since I’ve been on a fantasy kick lately :). Thanks for the post! You’re welcome! Graceling really was a good book, I just liked Fire better. And Graceling gives me cause to be excited about Bitterblue, the third book in the series, about a character who actually was in Graceling.